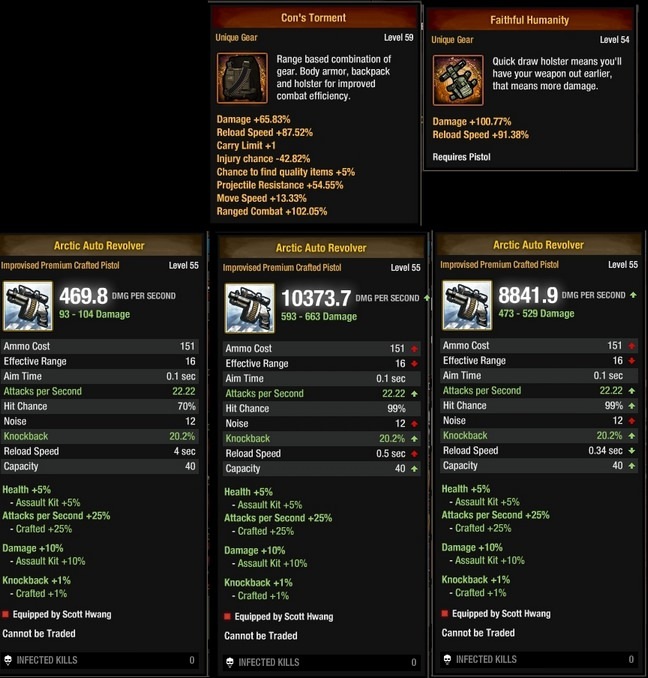 For the late crafters and the people who are wondering if they should craft something else besides the Auto Revolver, I present the comparison of the event weapons of Christmas 2017, as it is the custom. -Melee: Deathshead with +30% Melee combat plus Bandana USA 2016 with +10% Melee Combat. First, the Auto Revolver comparison. What gives more DPS: a holster or a vest? 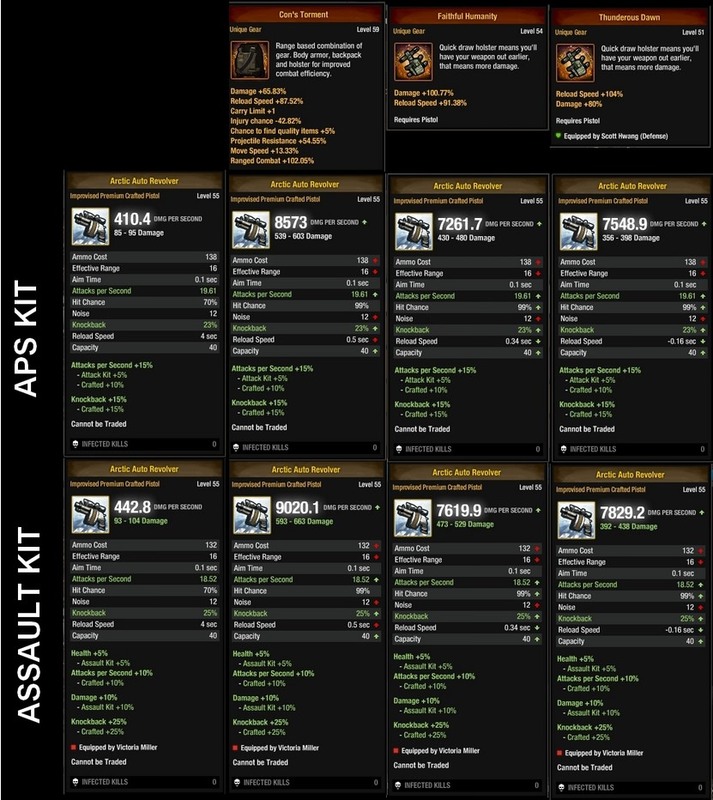 Of course, the Gunslinger kit is still the most desirable one to craft this weapon, since it will give the most APS. Third: How does other crafts are when equipped? To be honest, the reason why I never do gear comparisons is because you already know what you're going to get. You can decide if you want to craft as soon as you look at them, they don't change when equipped. And yes, I do agree with everybody else that the backpacks are not very enticing.